We are so proud of our new shop with a stylish white, gold and black facade and then coming inside adding a lovely teal palette. 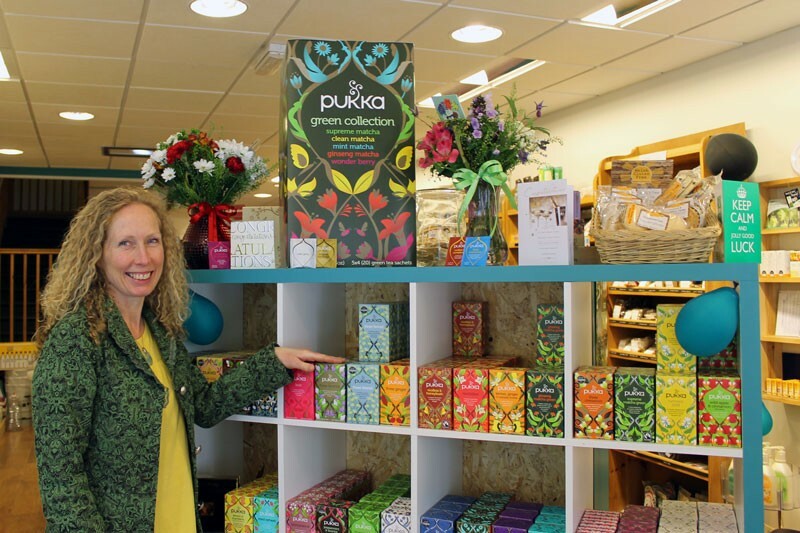 Our selection of Pukka teas provide a beautiful and colourful first impression. Hence, our first week in Bridge Street has been amazing. 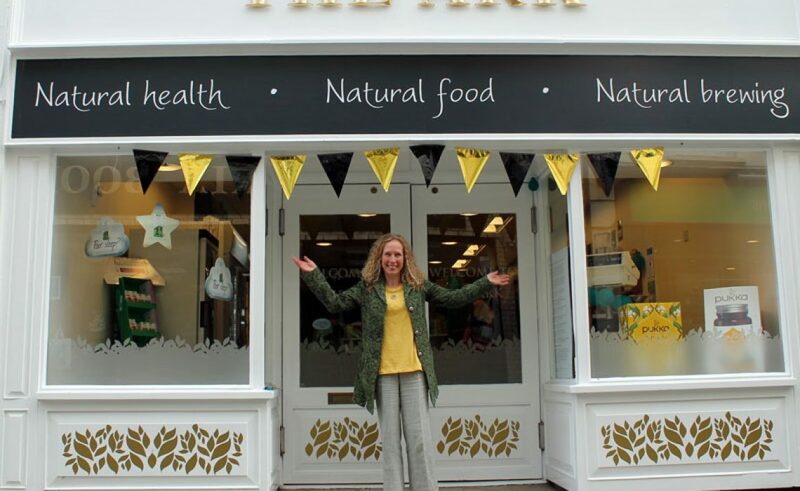 Saturday was the day of the Haverfoodfest 2017 and to celebrate we invited all our customers and by-passers to visit us for goodie bags, tasters and samples all day till we run out! We had queues already from 9.30am to try green superfoods drinks, Booja Booja and Equal Exchange chocolates as well as lots of other samples to take home. 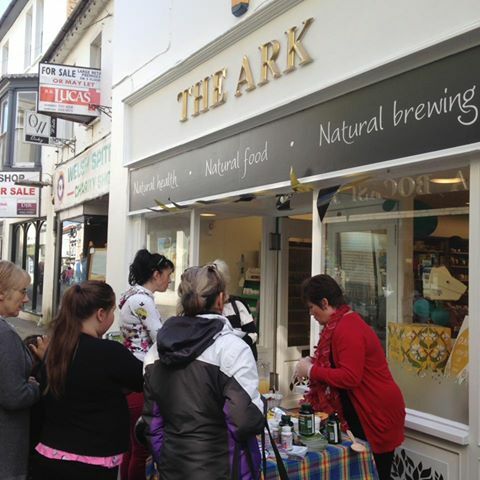 The Ark was involved in organising and putting on the foodfest and it was as successful as ever and this was the third year running. Sunshine again!! We really enjoyed Debi’s demo on how to make your own raw healthy chocolates. They are gorgeous!! Check out photos from the food fest on the Haverfoodfest Facebook page. 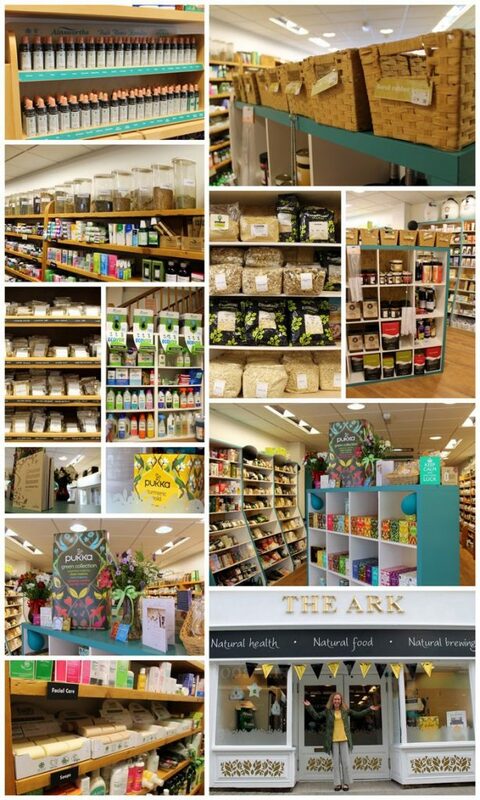 Follow The Ark Facebook Page to hear more about our health hub and ‘Meet Us’ below to view our forthcoming classes and events.